Ещё один "Топ 5" книг по трейдингу. Информации много не бывает! › Traders Blog › Another “Top 5” books on trading. It can’t be too much information! Another “Top 5” books on trading. It can’t be too much information! 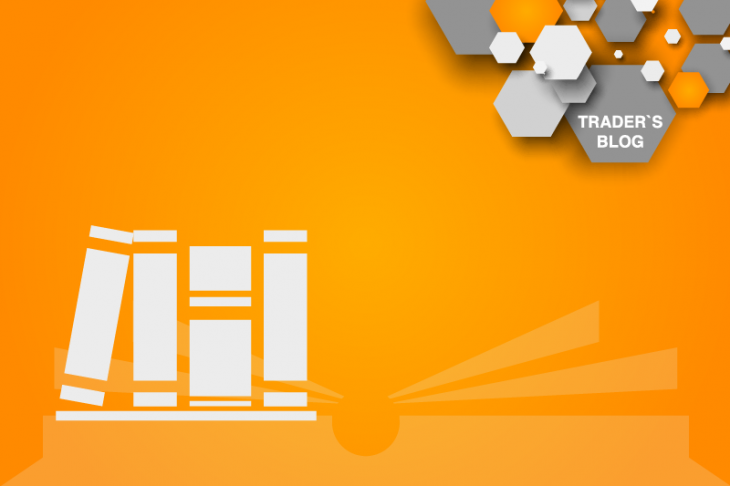 The second compilation of TOP 5 books on trading is given to your attention. The previous article “TOP 5 books on trading” you can look for the link. The following TOP 5 – books on trading will significantly simplify the process of studying the work on the financial markets. Also, this list is a weighty addition to the first top. Everyone will emphasize for themselves something worthwhile in the ten books presented on trading. Regardless of whether you are an advanced trader or a person who has just begun to understand the intricacies of financial markets! “Forex for beginners” – this book is for beginners, which will introduce any person with the currency market in a simple and understandable form. This book is suitable for novice traders or those who want to familiarize themselves with FOREX. This book can be regarded by professional traders as a guide, which includes many important aspects of the market. This book is highly recommended for those who have just started to study the FOREX market or relatively recently. First of all, the book will give answers to frequently asked questions and in some places limit from some common mistakes. “Way of the Turtle. The Secret Methods that Turned Ordinary People into Legendary Traders” tells about the training of trading. The book deals with success and failure, trading tactics, the entry points and exits of deals. The author focuses on the fact that the actual experience of past deals has no practical role in influencing subsequent transactions, creating its own philosophy of trade. The book also positions itself as a textbook for beginner traders with certain features that will be interesting to many. “Exchange Magicians” – a book on trading, which has passed the test of time. In conditions of significant and constantly growing competition, this book continues to remain competitive since 1989, pointing to its value, despite the fact that much has changed in the currency markets over this period. This book is a collection of interviews about success stories that will allow you to look at your own trade from a little bit different angle. “Exchange Magicians” – carries a hint of the recipe for success, which all traders are looking for. “Forex Market Psychology” – covers such an important topic as market psychology, which is a very specific topic. The book covers the topic of “herd think in the market”, which is the main reason for the failure in trade. The author also affects the personal psychological state of the trader, the mood of the market and their reaction to the data, thereby allowing you to look at the market from different psychological perspectives. “The Disciplined trader” – is aimed at overcoming the trader’s barriers to trade internally. The psychological state of a person comes to the fore, which in many cases can be a risk factor in achieving the goal. This book serves as a guide to self-control, which ultimately serves as the key to successful trading.